The current blazing rate of change in the display business means it's often hard to get excited about new, unproven technologies, but a breakthrough in OLEDs is certainly as promising as any. Japan-based Toray Group has succeeded in replacing the silicon semiconductors needed for OLED screens with an organic alternative that uses sulphur and carbon nanotubes. The upshot is likely to be OLED displays that are as thin and as flexible as a sheet of paper. 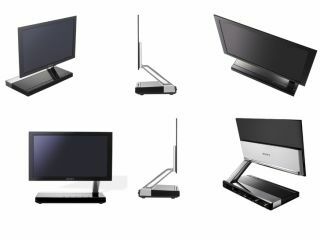 Existing OLED televisions, such as Sony's XEL-1, are extremely thin, but are as rigid as traditional displays and are expensive to boot. Another advantage to the Toray Group method is that it costs significantly less to manufacture the base material - as much as 90 per cent less, according to the company. Toray Group expects to be able to supply the new semiconductor to display makers within three years. It also suggests that it may be used in a new generation of cheap RFID tags.